Childhood certainties are put to the test in this family-centred story set in Sweden. Lukas wakes up to his seventh birthday, uneasy about what present his parents might give him. He just hopes it won’t be a functional item like clothes, a chair or even a carpet! So, when he’s presented with a kitten, he can’t believe his luck. He becomes overwhelmingly attached to this little bundle of fur whom he names Night. But, just as Night came so unexpectedly into his life, so he disappears one morning. So complete is Lukas’ feelings of pain and loss, he becomes almost obsessive in his refusal to believe that the kitten has gone. He wills the creature’s return, believes the unbelievable and continues to hope. 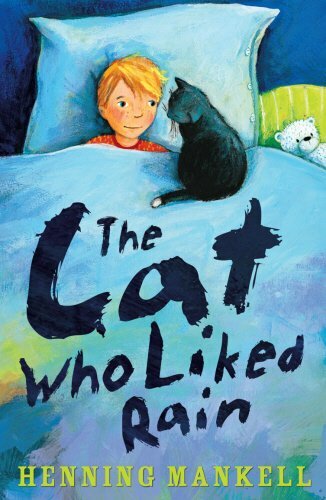 The author, acclaimed for the strong delineation of sturdy and realistic characters, shows a sensitive perception of a child’s responses to events beyond his control. Lukas is also convincingly real in his complexity: sensitive and fearless, single-minded and imaginative – and stubbornly determined. Wavering between flights of fancy and an impeccable use of logic, he learns the hard way that time, too, is needed to heal what is, after all, a process of grieving. Touching and wise, this is also a richly enjoyable story.